- The False Prince has been optioned by Scholastic Entertainment and it was announced in December 2012 that Paramount Pictures has hired a screenwriter named Bryan Cogman (Game of Thrones) to do a screenplay adaptation. - Aside from being a writer, Jennifer A. Nielsen also always wanted to be a detective, astronomer, spy, actress, and teacher. I've got to tell you that when it comes to books don't be fooled by first impressions. This may sound so negative, but actually it's the other way around. 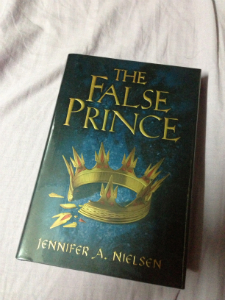 Here's is the story: The first time I saw Jennifer A. Nielsen's The False Prince I felt something different. But not knowing exactly what feeling it was, I passed it for a negative sign so I started to shy away from it. I am not sure why. Maybe because it's not on my league or maybe I subconsciously found the cover too rigid. That's my first mistake. The second one is I waited for months before I bought the book to confirm my suspicions, which bugged me in my waking thought sometimes. The third mistake I did was letting my friend read it first. I was disappointed. Not for the book, but for my self, since I can't contain the excitement and thrill I saw in my friend's eyes when he read the book. That's too many mistakes already just to appease my self. So right after he finished reading, I started devouring the entire book and finished it for a few hours. I felt something different, alright, but it turned out be on the positive light, because I am telling you that this book is certainly a must-read. An entire kingdom to fool. In a faraway land, civil war is brewing. 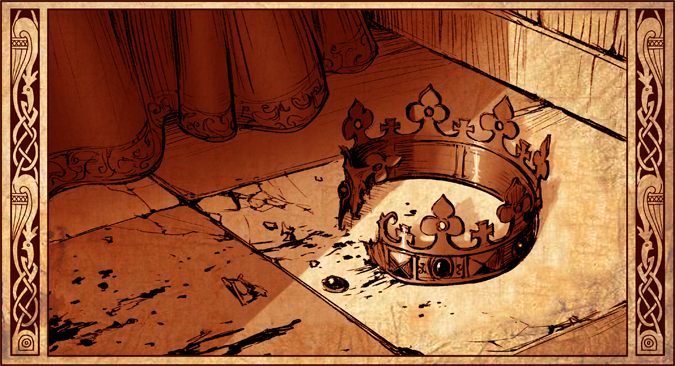 To unify the kingdom's divided people, a nobleman named Connor devises a cunning plan to find an impersonator of the king's long-lost son and install him on the throne. Four orphans are recruited to compete for the role, including a defiant and clever boy named Sage. Sage knows that Conner's motives are more than questionable, yet his life balances on a sword's point—he must be chosen to play the prince or he will certainly be killed. His rivals will be devising their own plots as well, so Sage must trust no one and keep his thoughts hidden. As Sage moves from a rundown orphanage to Conner's sumptuous palace, layer upon layer of treachery and deceit unfolds, until finally, a truth is revealed that that may very well prove more dangerous than all of the lies taken together.